Great new speech by Jon Blow. Highly recommended if you’re interested in the fascinating (but, to some, painfully slow) advancement going on in games. Specifically, the part about changing the rules of Gravitation is really great (even though the game didn’t work for me as much as Passage, by Jason Rohrer, the same designer). Partially, this section was meaningful to me because of an experience I’ve had recently at Arkane. In addition to our longer-range RPG/FPS, we’ve been working on a side project that (when conceived) focused on two ideas: First, the notion that the overall game structure and the interactions between players would mimic a person’s life, touching on how that life is influenced heavily by a handful of people…friends, family, enemies, or strangers. Second, the way the human mind can look at icons, then read text, and assemble meaning. (I wanted to do something similar to what Mamet talks about in On Directing Film, a juxtaposed sequence of uninflected images.) Game design is hard enough when you’re just trying to make a game interesting or pleasurable, but it’s even harder when you’re trying to accomplish those things while also keeping an eye on whether the meaning conveyed by the plot (or theme or tone) for the game is in alignment with the meaning conveyed by the dynamics. But that’s the goal, and it’s exciting to be working in a time when designers are pushing themselves for more, asking these questions. In the case of our little game, we’ve sometimes held to the two ideas above, and sometimes we’ve just altered rules to give players more of what they want. Whether this is good or bad depends on your goals as a game designer. The first person I heard talking about meaning-from-dynamics was Ian Bell, who was mortified later in his career about what Elite ‘said’ about Capitalism. The fact that people are discussing this at all is a great thing, in my view. Another section of Jon’s talk that was great was related to Bioshock. One of the best games of 2007, there’s still this conflict between the meaning imparted through traditional storytelling vs the meaning created through game dynamics: The plot asks you to altruistically aid the Little Sisters or–in the name of merciless, Randian self interest–to harvest them (and the Adam resource they carry). However, the game dynamics impart a different meaning, since the player who opts not to harvest ends up getting almost the same amount of Adam. Go view to Jon Blow’s speech, and follow along with the slides, because he says it best. Jon is articulating something crucially important. Not crucially important to making games or making games fun; crucially important to elevating games as a medium. I enjoyed Bioshock more than all but a couple of games during 2007. It’s an RPG/FPS, my favorite type of game, and it made me teary eyed. In my book, it’s brilliant and a step forward, despite any problems with plot/dynamics alignment. Jon mentions a potential future where—because they’re making tons of money—mainstream games never even bother to solve some of these challenging problems, where art games do but are largely ignored except by a small group that loves art games. Much more likely, I believe, is a future where art games, by the very nature, stay ahead of AAA games in terms of experimentation and interactivity, but where those AAA continue to absorb the interesting explorations of art games, always a step behind in this way, but getting there nonetheless. One of the best sections of the talk is called Challenge Substitutes. It touches on some devilish problems for games as a medium. Specifically, the mention of Delivery vs Interactivity gave me chills, because of all the times at Ion Storm we had to fight it out with people who wanted us to change Deus Ex so that it would “demo well.” Obviously, the more a game depends on the player for “cool stuff” to happen, the more interesting the game is, as a system…as an interactive thing. But what that means is that someone walking up to a controller at a trade show is not guaranteed to see something amazing in 5 seconds. Jon’s stuff is thought-provoking and at the end of the talk, he even pushes hard against the current direction of art games, via Frank Lantz (another favorite, ever-challenging voice in games). This line of thinking is really important and I hope everyone checks out the speech. 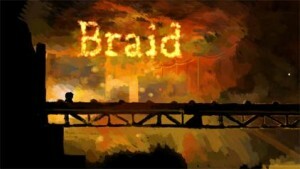 Jon’s game Braid is coming out soon for XBLA.